Recently, I bought a personal laptop to keep me in-synced with the latest technology that most flagship device owners enjoy in 2018. 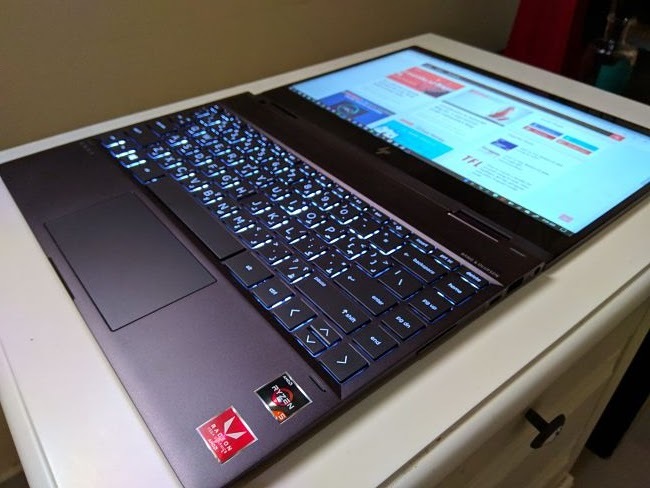 This convertible laptop doesn't have the most sophisticated features that most flagship devices have but it is definitely one of the most attractive [among the recently released ultrabooks] when it was officially made available to the public. I bought this 2-in-1 convertible laptop online here in Saudi Arabia which I thought an added advantage rather than buying it in the Philippines. I bought it at a 10.5% discount, enough to give me a few bucks to buy accessories like a new mouse and mouse pad, laptop bag and 1-TB external drive for additional data storage. 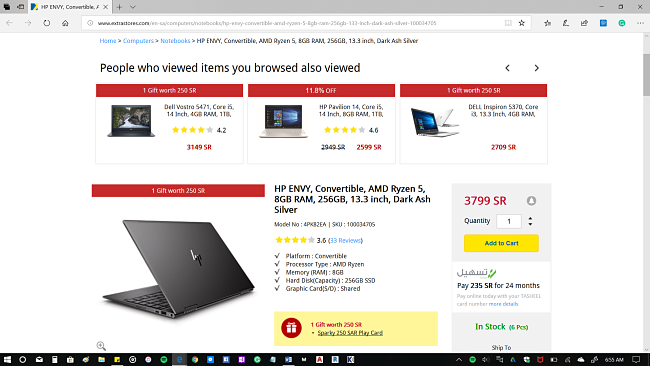 Buy the way, when I buy tech products here in the Kingdom of Saudi Arabia, I always buy from either Extra or Jarir Bookstore because both have a wide selection of quality tech products. In this case, I bought the unit from Extra because Jarir's only available unit was the 15.6 inches diagonal size. 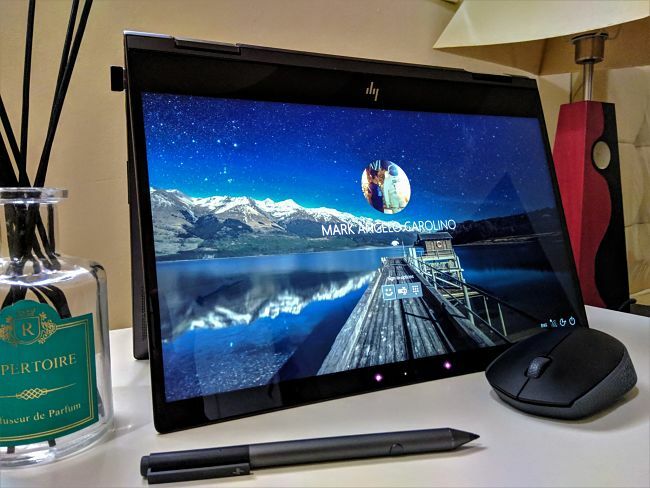 The HP Envy 360 has two sizes: the 13.3 inches and the 15.6 inches. To be honest, I was in a big dilemma of choosing which of the available sizes is the right for me. 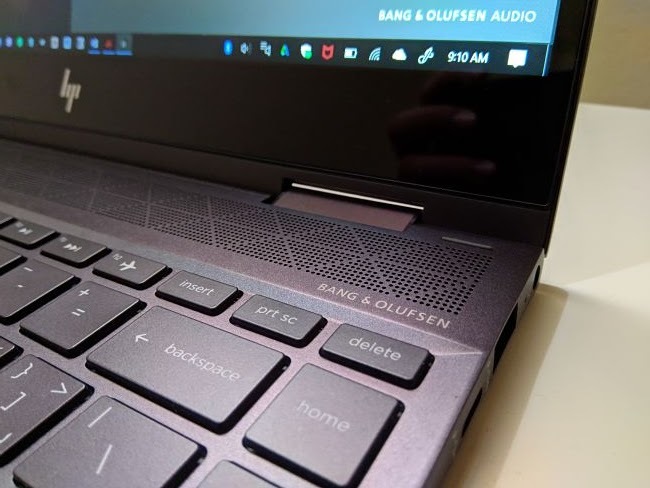 As a person who is always on-the-go, I wanted a portable, slim and light but powerful ultrabook which I could bring wherever I want to go without the hassle of bringing a bulky laptop. On the side note, I also wanted the 15.6 inches because of its bigger screen. 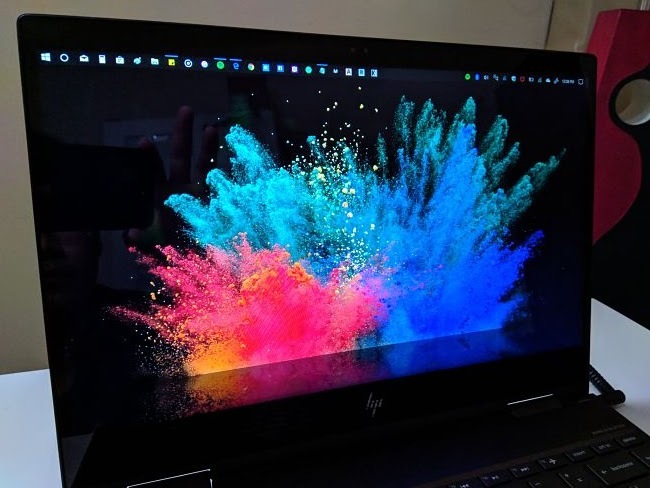 Unlike the 13.3-inch HP Envy x360 Convertible, the HP Envy x360 Convertible 15.6-inch model has a full-size keyboard with the typical number keys which I thought was very useful and convenient when I do paper works that need numerical calculations. But, I chose the portability and flexibility of the 13.3 inches model even if it's a little bit more expensive than the 15.6 inches model. I chose it not only because of its light weight but because the overall technical specifications are really good! Here are the General Technical Specifications of HP Envy x360 Convertible with 13.3 inches screen. I am satisfied with the performance of this device as I can smoothly run programs like AutoCAD2019 and Autodesk REVIT2019 without unacceptable hiccups that can hinder my productivity. By the way, I am fond of using fast-working stuff so I can get easily frustrated when the device I use doesn't meet my standards. If it's slow, I don't like it; if it's fast, I would definitely encourage others to use it. By looking at how HP Envy x360 convertible 13 was designed, I am definitely sure that this good looking device is designed for people [like me] who are always on the go. That aluminum chassis is perfectly compact, with a slender bezel surrounding the 13.3-inch display. At just 1.3kg, carrying it around is no burden either – you can slip it into a decent-sized handbag and pretty much forget about it until needed. Of course, if you’re shoving a device in your bag and lugging it around all day, you’ll want a degree of durability too. Thankfully, the HP Envy x360 Convertible 13 is no wuss. That lid is reassuringly firm to provide adequate protection for the display, while the rest of the chassis is just as solid. You can prod and squeeze the HP Envy x360 Convertible 13 as much as you like, but you’ll only see the tiniest bit of flex. As a 2-in-1 convertible device, The HP Envy x360 Convertible 13 can also morph into a tablet, if you twist the screen all the way back. It isn’t as light or convenient as an iPad, but this form is fine for enjoying a digital magazine or watching a movie while traveling. The dual hinges seem to be perfectly strong and reliable, while Windows automatically switches to its touch-orientated tablet mode when you flip the display around. HP’s design work is both smart and attractive. The dark silver finish certainly looks neat, with some finer detailing to help it stand out from the crowd. From the patterned surfacing between the hinges to the mosaic speaker grille, the Envy is pleasingly distinctive – quite a feat when many rivals seem content to continue with the same-old plain and boring look. Despite its slim and compact build, HP has somehow found space for two full-sized USB 3.1 ports. Sadly, there’s only a single Type-C connector, although this doesn’t have to be used for power. The Envy x360 has a standard charging port to fit the bundled adapter and plug. That Type-C connection offers DisplayPort support, while there’s also a handy microSD memory card reader. That 13.3-inch IPS display helps the Envy x360 to redeem itself somewhat, producing crisp and good-looking visuals, no matter what you’re up to. The Full HD resolution means photos and movies are packed with detail, especially given the compact size of this screen. Even if you squash your face up against the panel, you’ll still need killer eyesight to make out any individual pixels. 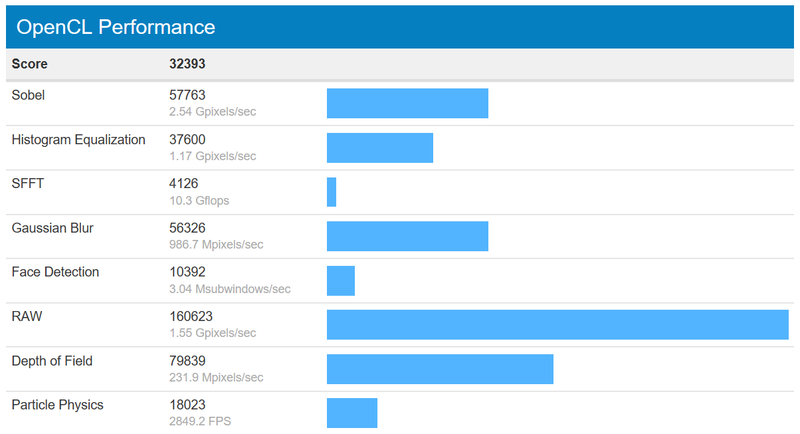 The audio performance of HP Envy x360 Convertible 13 was one of the main deciding factors why I chose to buy this device. It's not perfect though but it's good enough for me personally. 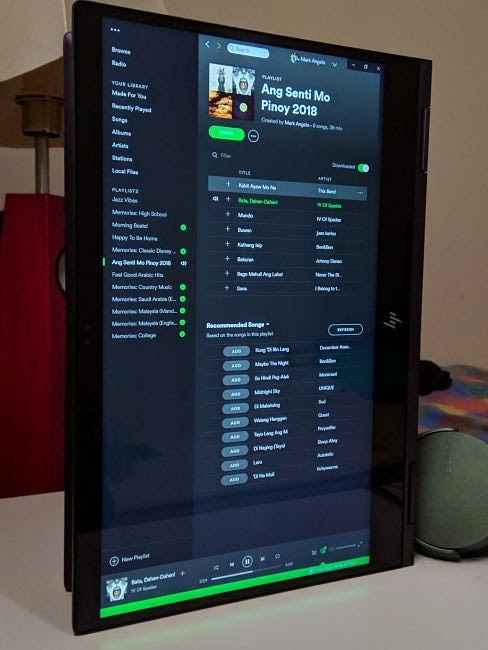 Custom-tuned by Danish designer company Bang & Olufsen, HP Envy x360 Convertible 13 which is Dolby Atmos certified can certainly belt out some decent sounds from its Quad Speakers. You can activate Dolby Atmos capabilities for a few bucks if you want to upgrade your multimedia experience on this small but powerful device. I tried Dolby Atmos for my Sony Extra-Bass headset and the sound quality is stunning! Why buy the HP Envy x360 Convertible 13? As far as portability goes, the HP Envy x360 Convertible 13 boasts a super-slim and light design that also looks really smart. It’s well suited to life on the go, although the battery life lags behind some rivals – you’ll need to lug around that adapter for all-day use. Still, everyday performance is solid and you can even get away with some creative use and a spot of light gaming thanks to AMD’s internals. Despite some usability issues and disappointing battery life, the HP Envy x360 is a pleasingly portable laptop offering decent grunt for its size. If you're sensitive to fan sound, you might want to test it first from the shop before buying it because sometimes the loud fan noise is annoying. Overall, I still love it despite its imperfections.